Except for all the repetitive locations and missions, I absolutely loved this Assassin's Creed. This is the first game in the series that started to feel a lot more like an RPG than an Assassin's Creed game, but that is not necessarily a bad thing, since it was so amazingly fun every step of the way. The best part was climbing the pyramids of Giza. It really felt like I was there and I was completely left in awe of how beautiful it is up there. I would definitely recommend playing this before the anticipated Assassin's Creed Odyssey. Best game in the series get. Played every version to date and Odessy was absolutely fantastic. Can't wait to play the newest edition to the series. Best Assassin Creed game so far. Ubisoft really saved the series with this one. I really enjoyed it was a awesome experience. I really enjoyed the Egypt setting and all the characters were awesome. Assassin's creed reborn. This RPG style asscreed is amazing. From the insane map size to the minuscule details you'd even get in the black desert, like raining bugs, it just stuns you with beauty and awe every single moment. 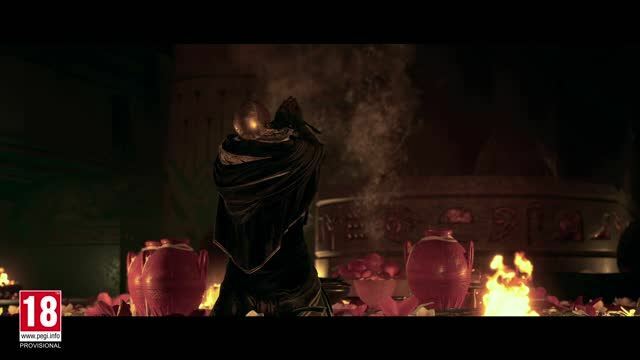 The character progresses and gives a much missed Ezio-esque bond with the player. Apart from the Ezio saga's storyline, this is by far the best game in the series. Corny headings aside, this is an absolute gem to get lost in. Egypt feels alive and vibrant, with an excellent Discovery tour mode - cause who wouldn't want to learn more? It's familiar enough to former games in the series, but opening up the world, and combat has taken it in a whole new exciting direction. And while Odyssey has released, do not overlook this one. It's a banger! As with all Assassin's Creed games, each one improves on the previous. This time there is quite a large jump. Beautiful world, nice RPG skills and loot, with Witcher-like combat. Also, the graphics are just amazing. By far the best Assassin's Creed I've ever played, and as a long-standing fan of the series, I'm excited to see the direction it's going in. There's far more flesh to the story than previous iterations, and the combat system feels more technical as well as intuitive. Overall, it was a very rewarding experience. The newest installment of the Assassin's Creed series gives you the chance to explore Ancient Egypt and uncover more about the start of the brotherhood. It features a change in the combat-control scheme of the previous games making it more fluid and enjoyable in my opinion. There is also a leveling system put in place making it more difficult to assassinate just anyone in the game and it helps you know when to attack and when to retreat until you reach a higher level. The new Open World RPG feel of the game is probably the best feature they have added as you can explore almost the entire map once you got past the introduction without even going on with the main quest. The story of AC: Origins is also well written and the developers paid a lot of attention to the setting and overall feel of Egypt in the Hellenistic times and the Ptolemaic dynasty. It shows the conflict and power struggle between the Egyptians and Greeks but keeps the sense of exploration and wanting to find out more about the history during that era. Ever since picking up this game I have not put it down and as someone who played some of the previous installments of the series this is by far the best one among them. The developers did a really good job in preserving the feeling of the Assassin's Creed-Verse whilst giving it a new coat of paint and I applaud them for it. This game gives me joy. Big world. Great visuals. Easily a game you will spend over 50 hours onif you're a fan of the series. It's a breath of fresh air for the series and gives me hope for the future. This is one of the best Assassin's Creed game to come out in a long time. They've rewritten a lot of the standard gameplay options by making it play more like an open world RPG. But it still keeps that traditional Assassin's Creed feel.